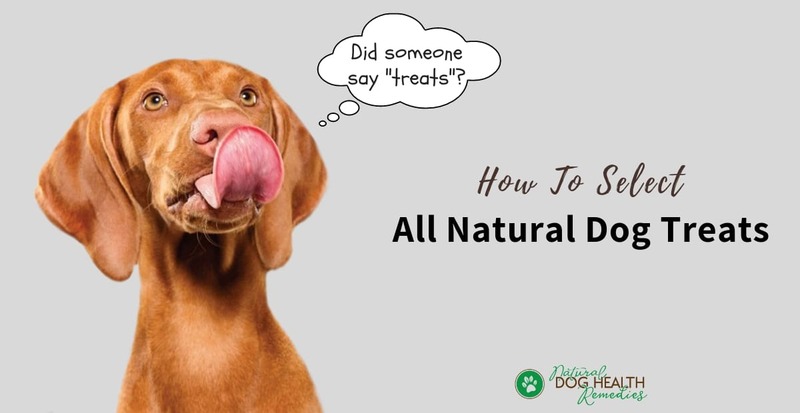 Are you feeding your dog natural treats and snacks? It makes a big difference in terms of nutritious value between all natural dog treats and treats that contain harmful ingredients. Like dog foods, we should be mindful while shopping for treats for our dogs. We need to read the label carefully and be able to identify ingredients that are harmful. Why do we have to pay so much attention to the quality of dog treats? After all, most of us only give small amounts of treats to our dogs. True, but compared to us, dogs have smaller bodies and organs. As such, even small amounts of treats that contain harmful toxins and chemicals are taxing on their systems. That is why it is important to get and feed our dogs all natural dog treat products. Unfortunately, not all substances and ingredients used in dog treats are safe. Therefore, it is important that you read the label carefully before you put that bag of treats in your shopping cart. Sugar: It's a fact - Dogs have a sweet tooth, and a lot of low-quality dog treats are laden with sugar because manufacturers are aware of this fact. As you may know, too much sugar can cause a dog to develop health problems (e.g. weight gain, high blood sugar levels, insulin resistance, diabetes - to name just a few). Therefore, avoid any treats that list sugar sources such as corn syrup, dextrose, sucrose, or fructose as one of their top 3 ingredients. Cheap Cereal Grains: Cheap cereal grains and fillers do not add any nutritional value to our dogs' foods and treats and should therefore be avoided. Meat By-Products: While human-grade, high-quality meat is an excellent ingredient for dog treats, rendered meat by-products are not. They are often discarded animal parts not fit for human consumption. Not only are they of low or no nutritional value, they can also be indigestible and harmful to our dogs. Glutens: Glutens such as corn or wheat glutens are of little nutritional value to our dogs. More importantly, they may potentially cause allergies in some dogs. Avoid treats that contain glutens! Artificial Colors and Flavors: Do our dogs really care whether the dog chew is white, red or green? No! We should avoid any dog treats with colors that do not look natural, because artificial food dyes used in dog treats (and commercial dog food) often come from coal tar. All natural dog treat products do not need to add artificial flavors because the natural flavors are already appealing to dogs (sometimes even to people). However, many treats of questionable quality tend to add loads of artificial flavors (as well as sugar and salt) in order to mimic the qualities and aroma of natural foods. Artificial flavors are also used to mask the bitter flavors that many such treats have due to the chemicals and preservatives they contain. Chemical Preservatives: Natural preservatives, such as mixed tocopherols (vitamin E), vitamin C (ascorbic acid), extracts of rosemary, sage, or clove, are perfectly acceptable and in fact necessary to prevent the treats from getting rancid. However, chemical preservatives (such as propylene glycol, BHT, BHA, nitrites, nitrates, ethoxyquin, or propyl gallate) which unfortunately are very commonly added to dog treats are harmful to our dogs. The bottom line? Be an alert label reader and choose dog treats with ingredients that are natural and beneficial to your dog. There are so many different kinds of treats. Which one suits your dog best? It may depend on quite a few things, such as your dog's age and activity level, as well as their dental health or other health issues, such as allergies, joint issues or blood sugar disorders. Also, remember that most dogs appreciate variety, so get different types of treats and mix them up to make life more interesting for your dog! Finally, as it is with foods, rotating the protein sources and ingredients in treats can help prevent food sensitivities from developing. Obese dogs or older dogs with slower metabolism may benefit from some chewy treats that satisfy without adding a lot to their daily calorie intake. For example, these BonesGalore Free Range Bully Sticks are perfect treats. They last for a long time and clean the dog's teeth too. In addition, all natural bully sticks, such as Redbarn Bully Sticks & Braided Bully Sticks Dog Chews , are also excellent for young puppies that may be teething. Small, bite-sized treats, or treats that break apart easily are great for dogs that need to have calories kept in check. Small treats are also great for training, since they help dogs focus on the task and will not fill them up so that they lose interest in the lesson. These green tripe treats are low in calorie and high in nutrients. They are in bite size so they are specially good for old dogs who don't have strong teeth, and good for training too. Finally! An all natural dog treat product that is not only delicious but also helpful in treating and preventing canine osteoarthritis and other joint problems! This treat is fortified with Chondroitin and Glucosamine HCL, as well as other nutrients such as vitamins C and E, selenium, copper, zinc, and more. These organic treats use all natural ingredients, fortified with antioxidant vitamins, proteinated zinc, and glucosamine. Good for healthy joint support. These grain-free, gluten-free treats are raw single ingredient freeze dried meat (chicken breast, bison liver, beef, duck, salmon). Perfect for dogs with allergies and sensitive tummies. These all nature dog treats contain limited ingredients (one protein source) for dogs who cannot tolerate typical pet food ingredients.